I love southern foods! Gumbos, Jambalaya’s, Fried Chicken, Biscuits n’ Gravy, Creamed Corn — you name it and I love it!!! There is nothing better than a rich n’ hearty flavors you find in southern cooking! Anytime I heard the word “creole” I immediately begin to think of the deep south and begin to think of gumbo! My mouth starts to water and my stomach begins to grumble! I am sure everyone has had their fair share of gumbo and if you are like me you will find that you crave a thicker and heartier gumbo. This is my favorite gumbo recipe that is sure to make even the largest gumbo-opposer quickly switch sides! This recipe, does not use tomatoes. Since it is already the end of March I figured we would be over the winter cooking favorites like stews and gumbos but sadly we aren’t! Looking forward in the forecast, I am not sure when we will even begin to see temperatures in the 60’s let alone 70’s. Let me telling you — it’s depressing! However, it has given me a great opportunity to make some of my favorite winter meals a few last times. 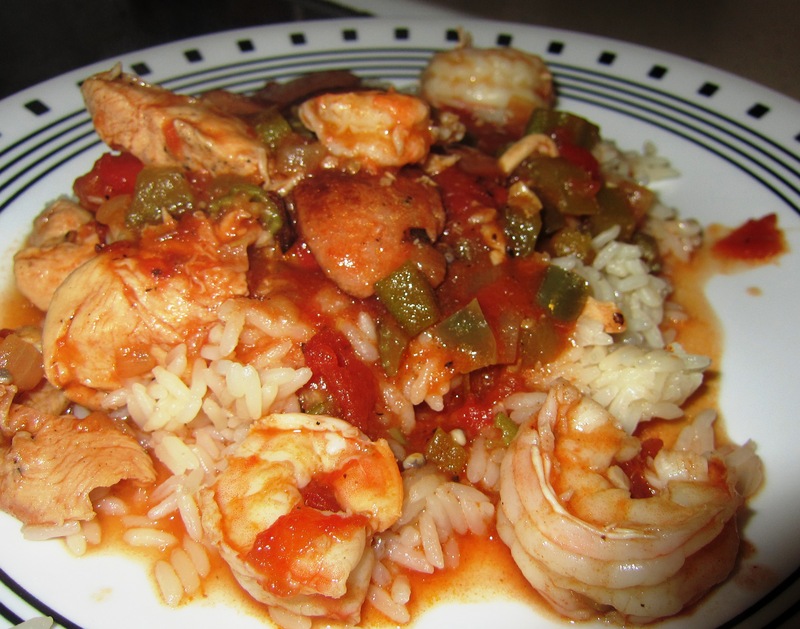 This recipe is a mix between a gumbo and a jambalaya — and is one of my favorite gumbo recipes. It is light and refreshing while also has a depth of rich flavor which you expect from creole cooking. You can make this gumbo as spicy as you like or as mild as you wish. The recipe below is for a more mild flavor but you can always spice it up by adding some red pepper flakes, hot sauce, or additional cayenne pepper. This gumbo also tastes amazing a few days after making it — after the flavors have had time to meld together — so it makes amazing leftovers! In a large stock pot or a Dutch oven, heat 2 tablespoons of the Olive Oil over medium-high heat until the oil is hot. Once the oil is hot add in the sliced Andouille sausage and it to brown, stirring frequently. Once the sausage is well browned, which will take approximately 5-8 minutes, remove the sausage from the pot and set it aside. Immediately and the chicken pieces into the pot and lightly sprinkle them with salt and pepper. Allow the chicken to brown in the oil for about 3-5 minutes. Remove the chicken from the pot, adding them to the bowl with the sausage and set back aside. Add the remaining 2 tablespoons of olive oil along with the diced celery, onion and bell pepper. Allow the vegetables to sautee for about 5-8 minutes until they become soft and tender. Once the vegetables are tender add in the bay leaves, Creole seasoning, cayenne pepper, ½ teaspoon salt and ½ teaspoon of black pepper. Stir the vegetables to combine. Add in the chopped garlic and allow the mixture to cook for 2-3 minutes until you can begin to smell the garlic. Add in the tomato paste and allow the mixture to cook for two minutes in order to cook the “raw” tomato flavor out of the paste. Once the tomato paste has cooked, add in the sliced okra, the diced tomatoes along with the juice, the hot chicken stock, browned sausage and the chicken. Stir well to combine. Over medium heat allow the mixture to come to a gentle simmer; and simmer, uncovered, for 20 minutes. After 20 minutes has elapsed, lightly sprinkle the shrimp with some salt and pepper and add the shrimp into the pot. Simmer the mixture for 2-3 minutes longer in order to cook the shrimp. Source: adapted from The Cozy Apron.